This mod adds 6 characters to your game, Include all the characters I have released, and two new character. All female characters use UNPB or CBBE Curvy body. All male characters use bettermale underwear body. Specialty: One-handed, Light armor, Alteration and Destruction Magic (Frost). ﻿“Nami is an Imperial Akavirian, one of her matrilineal ancestor was a Legion soldier who joined Uriel Septim V’s invasion of Akaviri. After the Battle of Ionith, he surrendered himself to the Akavirian army along with a portion of his colleagues. He was eventually naturalized in Akaviri. Nami’s father is a Imperial refugee form Tamriel, which led her family to accept Tamriel’s culture again. Location: Dead Man’s Drink, in Falkreath. Specialty: One-handed, Archery, Two-handed, Light armor, Sneak. Ki is Nami’s cousin, a master thief of Cyrodiil Thieves Guild. 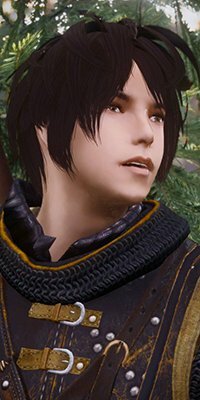 He was cursed by a Ayleid lich when he explored Ayleid ruin, and then be wanted by count for grave robbery. For shelter from the pursuit of death, he crossed the border between Cyrodiil and Skyrim. He is eager to cure curses and make some money on Skyrim. 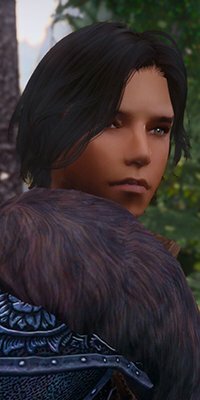 Many years ago before Nami arrived, Ki traveled to Tamriel to find out the histories of his ancestors, during this time, he met two friends: Keisuke and Naoki. They helped him a lot on his journey. Location: Moorside Inn, in Morthal. Cornelia was born in the House of Green, a petty nobility family in High Rock, most of her family members are wizards, and so is she. But the difference between she and her family is that she choose to became a vampire when she was 17, not for knowledge and power, but for she can always remain fresh. When Ki escape to Skyrim from Cyrodiil, Cornelia saved his life by chance. Shibata Keisuke is exotic storm mage, a member of the Mages Guild. he and Ki are countrymen and good friends, they came to Tamriel in one ship. 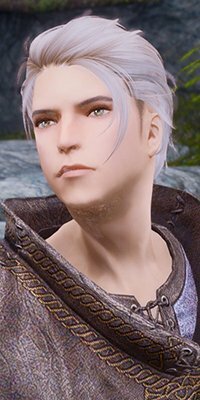 he come to Skyrim to heip Ki after he heard that Ki was wanted. Specialty: Block, One-handed(Axe), Light armor. 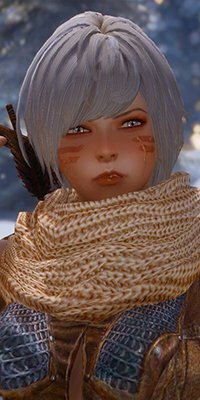 Estela is a Journeyman of the Anvil Fighters Guild, the leader of the Fighters Guild sends her and Naoki to Skyrim to create some new business. Re-uploading this file to any other websites is strictly prohibited. Although they have different personalities, they are still friends.